Trail Fund NZ announced last week that 11 clubs from around the country will receive almost $100,000 in total to support volunteer-led work in New Zealand’s backcountry. 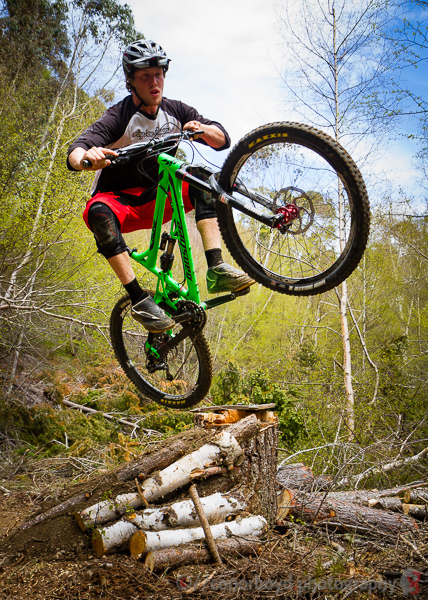 From Thames to Southland, clubs and trusts were excited to find out they had received funding for mountain-bike accessible track maintenance, upgrades and signage. Castle Hill Community Association (CHCA) celebrated the news of its funding approval in style last weekend – with 28 volunteers turning out to a work party on Saturday 8 November, supported by T5 Contracting and Cactus Outdoor. The committed organisation – whose goal is to build an internationally recognised intermediate single-track mountain bike trail from Castle Hill, through Craigieburn Forest to Flock Hill Lodge – has a track record of success and a supportive group of volunteers. The association was pleased to find out its application for $14,990 for track maintenance and materials was successful. 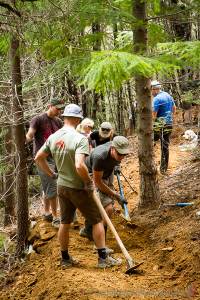 “It’s great to see DOC partnering with organisations like Trail Fund NZ, which is a visible and knowledgeable advocate of sustainable, mountain bike-accessible trails,” says CHCA member Paul Weber. Partnering with DOC isn’t a new concept for CHCA, which has worked closely with the department for years as it gained approval for the network it’s been creating. Under the auspices of the CCPF (Community Conservation Partnership Fund), DOC has transferred the maintenance of Hut Creek track to CHCA, which in turn has committed to upgrading it to dual-use walking and mountain-biking track – and the recent work party has already made significant headway.